WHO SHOULD GUIDE YOUR TEAM? For over 2 decades, Randy Schuster has been a highly successful Financial adviser and is a member of the prestigious Million Dollar Round Table (MDRT), the Premier Association of Financial Professionals®. He has carved out a unique niche within the industry by focusing on the coordination of planning. 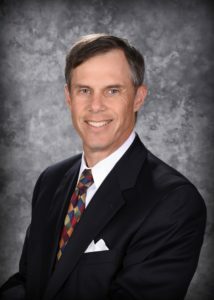 When dealing with closely held businesses, working in conjunction with their qualified tax professional, Randy helps guide his clients through the complex tax code in large to midsize estates, planning for business continuation and succession transfer issues of privately held firms, and wealth accumulation strategies. For corporate clients, the planning elements are crucial to an exit strategy. The focus is to provide an up-to-date, effective plan that encompasses the goals & objectives of the executive & his family. 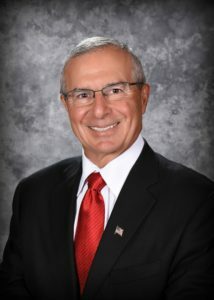 Joe Eduardo began his career with Centra Financial Group in 1975 after college, marriage and active duty in the military. His market focus is on owners of closely held businesses and professionals. His practice encompasses providing retirement income planning, survivor income, estate liquidity needs and business succession planning. His understanding of the proper use of life insurance, annuities, disability insurance, long term care insurance and related financial products, enables him to work with his client’s legal and tax advisors to provide solutions for real life planning needs. TO HELP CLIENTS WITH THEIR FINANCIAL DREAMS, GOALS, AND ASPIRATIONS. TO TAKE CLIENTS FROM WHERE THEY FINANCIALLY ARE TODAY - TO HELP THEM WHERE THEY WANT TO GO TOMORROW. Registered Representative of, and Securities and Investment Advisory services offered through Hornor, Townsend & Kent, LLC. (HTK) Registered Investment Adviser. Member FINRA/SIPC. 500 Linden Oaks, Suite301, Rochester, NY 14625 (585) 899-1200. Centra Financial Group, Inc. and Coordinated Plan, Inc. are unaffiliated with HTK. HTK does not provide legal and tax advice. Always consult a qualified tax advisor regarding your personal tax situation and a qualified legal professional for your personal estate planning situation.